Ironman Boulder was a little over a week ago, and I am happy to report that I am feeling really good. I had a mellow recovery themed week of workouts which left me rested, but also itching to get back to focused training, which is exactly what I should be feeling. However, even though Ironman Boulder is behind us, there is one HUGE aspect of the race that I lightly covered last week, but I want to give proper attention to this week, teamwork. I may swim, bike, and run by myself most of the time in training and during races, but I am really a team player. Team SFQ Meet-Up organized by Boulder local, and fellow Kona qualifier, Sarah Peltier. Photo credit goes to Amy Hite. Racing in Boulder was truly a special day because I raced alongside teammates from Smash-Dimond, TeamHPB, and TeamSFQ, plus we were cheered along the course by members of TeamSFQ, and virtually cheered on by members of all three teams and beyond. Every single one them helped carry me through a very challenging race, and I am beyond grateful to have them ALL in my life on race days, and every other day of the year. Yours truly wearing the best outfit I've ever donned running along Boulder Creek. Photo credit goes to the Palmer family. It’s strange to think of a time when I was not part of this team, but to fully understand how much being a part of it means to me, let’s go back there for a minute. In 2015, right about this time of year actually, the word that summed up my everyday feeling was lonely. It was a huge transitional part of my life because my step-daughter was a teenager with a newly minted driver’s license, which made my parental responsibilities, (and time spent with her at all) diminish rapidly, my husband was working in another state, and I was dipping my toe back into working full time after a seven year hiatus, while rounding out the final stages of writing my first book. It was a lot, but honestly, what really made me feel lonely was that I did not have any of my close friends nearby to help me wade through this period of frustration and growth. They were all just a phone call away, but on many days I just needed a silent hug. Also, my passion for triathlon was starting to wane. I was exhausted from years of solo training and goals not quite met, but all of that changed with the inception of TeamSFQ in late 2015, the all-women triathlon team formed by the founders and owners of the apparel line, Smashfest Queen, Hillary Biscay and Michele Landry. Finally, I felt like I found my tribe again. Many of my teammates are parents, have stellar careers in medicine, engineering, academia, the military, you name it awesomeness, yet they all carve out time to swim, bike, and run because scratching that self-preserving itch makes the rest of life’s unstoppable machine run much smoother. Because of these women, my teammates, the word I now use to describe my everyday feeling is inspired. Early race morning in transition. From screen left, my Smash-Dimond teammates Lauren Palmer, Amy Hite, Josie Vitale, Jan Lohman, and Mary Knott. Photo credit goes to Amy Hite. I am also a member of Smash-Dimond, a contingent of TeamSFQ triathletes who race in Smashfest Queen apparel and ride Dimond bicycles. 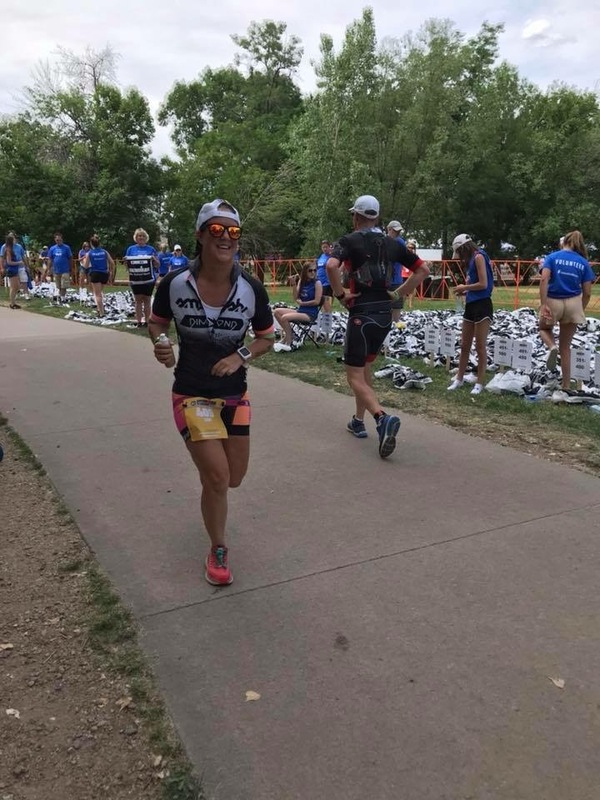 I raced Ironman Boulder with five fellow members of the Smash-Dimond team, and even though I have spent a decent amount of time getting to know each of them over the past year or so at triathlon camp, other races, social media, lodging, etc., what I learned and gained from them on race day goes above and beyond what I could have hoped for. These women are the essence of grit and appreciation, and I am proud to call them teammates and role models. Following are few thoughts about how each of them affected my 140.6 mile romp through Boulder last week. First up is Mary Knott. Mary is an accomplished triathlete and TeamHPB coach. 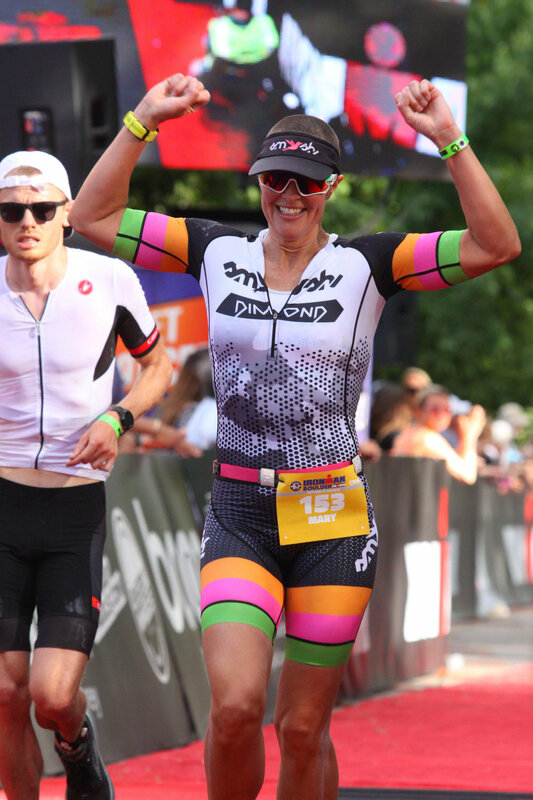 She has raced at the Ironman World Championship in Kona, holds the women’s bike record at Ultraman Australia, and raced with me at Alaskaman last July. Mary is also one of the top swimmers in triathlon across the board, often dominating both the pro and age group fields. What makes her appearance on the starting line at IM Boulder exceptional is that she had only been training at full capacity for a couple of weeks before the cannon went off. She was just returning from an injury that left her unable to run or ride for most of the vital training weeks leading up to the race. That display of gumption alone is stunning, most athletes wouldn’t take that chance, however, the more that I get to know Mary, the more I am learning that what is exceptional for most, is just how she rolls. The moments that I saw her on the course, (only during the bike and run, the closest I got to her during the swim was walking behind her on the boat ramp before entering the water), her smile was as bright and powerful as a “Carebear Stare,” and literally gave me a boost unrivaled by any cup of cola I drank along the course. Mary's magical smile lighting the way toward the finish. Photo courtesy of Mary Knott. Thank you Mary, for once again showing us all what a privilege it is to race. Mary is currently prepping to race the Ultraman world Championships on the BIG Island of Hawaii in November. Next up, is my winter TeamHPB Smash Camp roommate, the super-cyclist and ripped climber extraordinaire from Minnesota, Amy Hite. Amy also showed up to race with a strain in her Achilles, but she raced like she was conquering Troy. (See what I did there?) Amy rode the fastest bike split out all of the Smash-Dimond athletes, and ran very well, too. Her pace was strong and consistent every time I saw her; she looked like Pac-Woman chewing up the course. Amy is the perfect combination of strength and expertise, she is a steely force to be reckoned with on the course, and has a deft hand making Quinoa, (she made an amazing batch that I devoured when we were at camp.) I can’t wait to race with her again in Kona, but in the meantime, she will be motoring through Ironman Wisconsin in September. Good luck ladies heading to Madison, you will need it! Amy in laser-like pursuit of the finish line. Photo credit goes to Jen Rydelski Jardeleza. 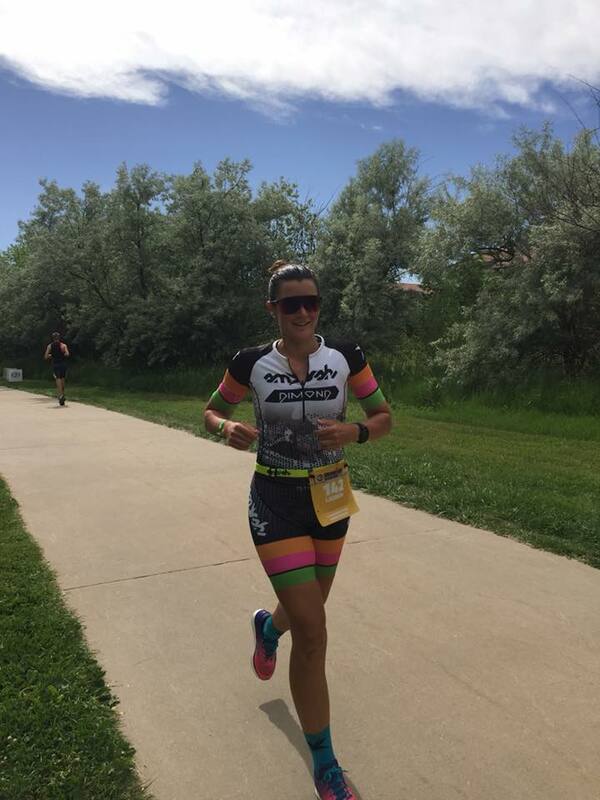 The next teammate I would like to discuss just finished her third Ironman within six weeks. Yes, you read that correctly, Jan Lohman raced Ironman Texas on April 28th, Ironman Santa Rosa on May 12th, and Ironman Boulder on June 10th. Most humans do not even know what a triathlon is, many who do, can’t imagine taking on the long course/Ironman distance, Jan surmounted three in six weeks. That is shorter than the span between two haircuts. It is unbelievable, but believe it. She also survived two, five day TeamHPB Smash camps, the Winter session in January, (I followed her feet in my lane for our 10,000 yard swim), and the Spring session in April. Unreal. Ten days of Smash camp at all is impressive, ten days in one year is something special. Jan is strong, determined, kind, and one of my favorite people to share a race course with, and seeing her stride and feeling her energy on the run in Boulder gave me the gut check I needed to push harder when my eyes fluttered and steps stuttered. Thank you for setting the bar so high, Jan.
Jan laying it down during her third Spring marathon. Photo courtesy of Jan Lohman. The next Ironman on deck for Jan is Arizona in November. The youngest member of Smash-Dimond, the record setting winner of Employee of the Month at Smashfest Queen, and Arizona’s favorite east coast transplant, is the one and only, Lauren Palmer. Lauren is a gifted athlete who grew up playing soccer, and continued all the way through college. Since soccer was my first sport love, I have tremendous respect for the level of play Lauren achieved. I know firsthand that the transition from soccer to endurance sports is not that wonky of a move, so I am not surprised that Lauren has glided over seamlessly from kicking balls to pedaling wheels, because at the root of it all, on the pitch or in triathlon, in my opinion, it all boils down to how well you can run, and Lauren can run well. I was thrilled to slingshot back and forth with Lauren on the bike course in Boulder, and our mutual nods of misery along Boulder Creek during the late miles in the marathon were priceless. I am looking forward to swapping lava rock stories post-race in October. Yep, Lauren grabbed her Kona Qualifier slot at only her fourth Ironman. Not too shabby. I think Lauren’s potential in triathlon is boundless, and I can’t wait to cheer her on for years to come. Lauren and a CU Alum just after finishing a pre-race ride along Boulder Creek. Photo credit goes to Lauren Palmer. The final member of Smash-Dimond that raced in Boulder was the teammate I was most excited to see, because we had never met in person before. Josie Vitale has been filling my heart with glee for over a year with her hysterical and heartwarming Instagram Stories highlighting her adorable family and true grit and passion for triathlon. She is the mother of two young girls, (runners themselves, her husband is too), and she is a fellow Jeep owner. :) The first day or so in Boulder we kept missing each other, but when she jumped out of Mary’s rental Suburban and into my arms before dropping off bags and bikes at the reservoir on Saturday, I knew I made a friend for life. Jan, Mary, Josie, and yours truly moments after meeting Josie for the first time at gear drop off. Unfortunately, Josie had a really rough day on the racecourse. She crashed during the bike, and had to wait over an hour to have two bike tech’s, and one medic check everything out before sending her on her way. What is remarkable to me is not only that she rode the remaining miles with bloodied elbows, and bruised pride, it was that she showed her girls that she gets up when life pushes her down, and with a smile on her face she finishes every race. She ran a marathon when many would have turned in their chip and sulked about how hard the wind blew, and how hot the sun felt, nope, not Josie. She sucked it up and put the Iron in IronWoman. Best Finish Photo Ever, Josie just after crossing the line. Photo courtesy of Josie Vitale. I have never been more proud to be someone’s teammate. Thank you for showing us all how it’s done, Josie. 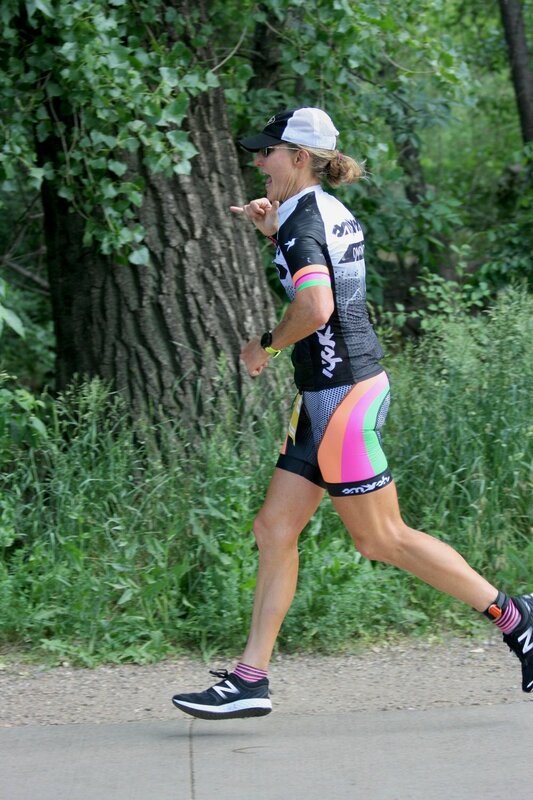 Next up for Josie is Ironman Lake Placid at the end of July, followed by Ironman Mont-Tremblant in August. Whoa. It’s a treasure to share a passion with friends. It’s also a treasure to make friends because of a shared passion. I am grateful every day that I somehow can’t shake my passion for triathlon, because this nutty sport has opened my heart to many friendships I never would have known without it. Also, I am thankful that Hillary and Michele took a chance and went after their shared idea to start an apparel company all those years ago. I am not sure if they could have imagined the impact that bold decision would have on so many women’s lives, but it certainly made an impact on mine. Thank you both for letting be a part of the team. Smashfest Queen sandwich, Michele Landry, a tall red head, young Hill Biscay, and Hillary Biscay cheering on the team at Oceanside 70.3 last April. Following is my new favorite tune, which also exquisitely sums up the theme for this week's post, Maroon Five's entertaining video for their song, Girls Like You. WATCH THIS!